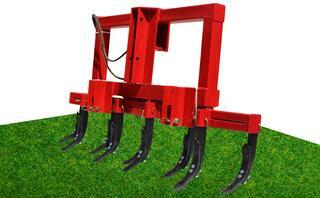 Our ripper attachment has set us apart and made Red Master an industry leader. The way our ripper attaches to the harrow allows for adjusting the ripper to make it more aggressive or nonaggressive. Being able to adjust just the ripper will allow the harrow to stay level and continue to work the ground behind the ripper.